Are you totally ready for Holiday decorating?! I can't wait to pull out all my decorations right after Thanksgiving. 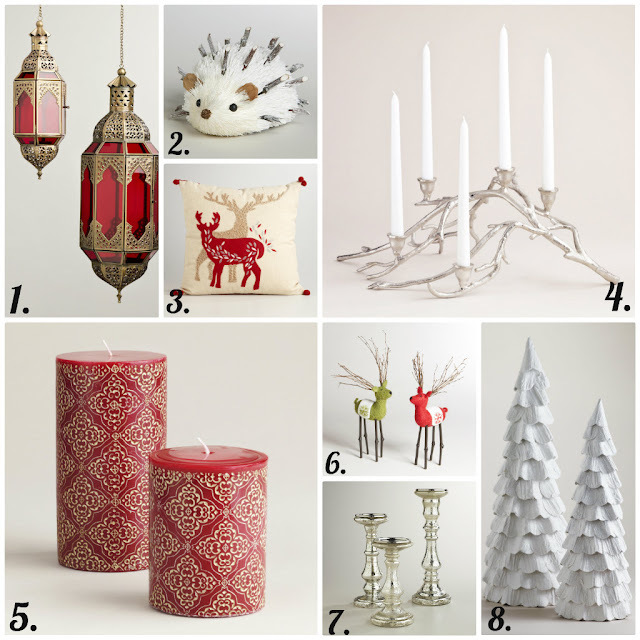 I love all the items at World Market any time of year and the holidays are no different! World Market has some awesome items for decorating! 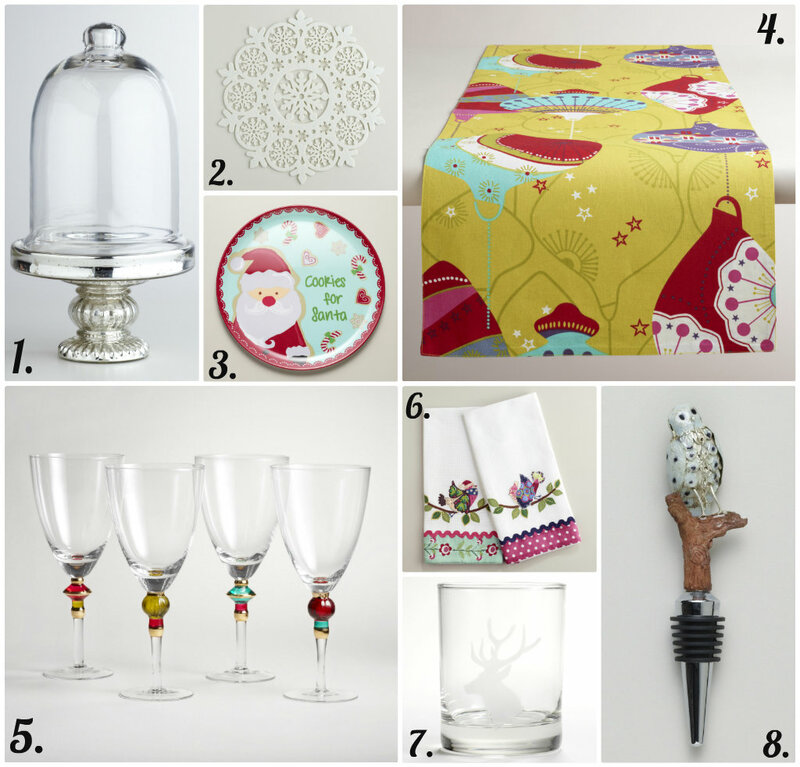 After you get your house all decorated, why not throw a fun, festive holiday party?! World Market has wonderful holiday entertaining items as well. Plus, World Market is having another Sweepstakes! How awesome is that?! 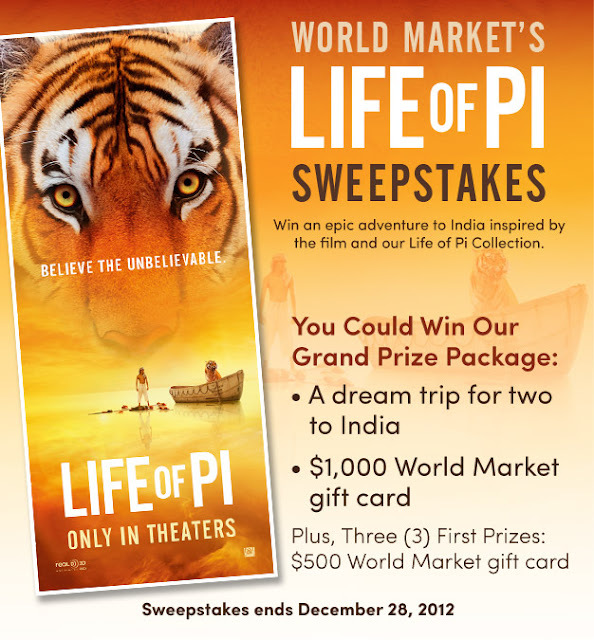 Grand Prize package includes: A Dream trip for 2 to India and a $1,000 World Market Gift card. The Life of Pi Sweepstakes runs from 11/17 - 12/28. A little about the Movie: Life of Pi is the story of an Indian boy named Pi, a zookeeper’s son, who survives a disaster at sea and is thrown into an epic journey. While adrift in the middle of the Pacific Ocean, he forms an amazing and unexpected connection with another a fearsome Bengal tiger. The movie opens in theaters November 21, 2012. You can watch the trailer for Life of Pi here: http://www.lifeofpimovie.com/#!/watch-trailer. On Black Friday, the first 100 customers to shop in-store on 11/23 (Black Friday) will receive a FREE Limited Edition Life of Pi ornament and a FREE Life of Pi movie ticket. The first 100 customers to shop in-store on Saturday, 11/24 & Sunday, 11/25 will receive a FREE Limited Edition Life of Pi Tote Bag and a movie ticket. I was at World Market over the weekend and coveted those snowflake place mats and mercury glass cloche. They are SO cute! Thanks for the post! I love world market!